Childbirth gets a bad rap for being messy and chaotic. 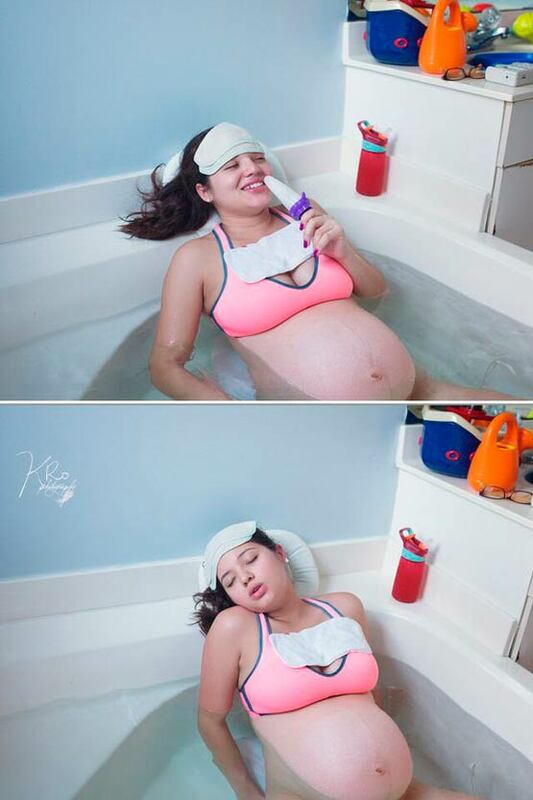 But this series of photos portraying a calm and collected home birth prove that having a baby is beautiful. Childbirth doesn't generally give off zen vibes, but this new series of photos from Florida photographer Kathy Rosario shows that delivery through a home birth can be, well, peaceful. "I've always been intrigued by childbirth and how these beautiful little beings come to be in this world," Rosario told Fit Pregnancy. Most of her work has been of hospital deliveries, but she was inspired to capture a home birth after she had one herself. "Watching a woman give birth naturally, in the comfort of her own home, made me question why so many women without complications have hospital births in the first place!" she said. Rosario described the atmosphere at this mom's birth as very calm, with the scent of lavender in the air. She even had her other children present. What was most impressive was how the mother's partner stepped up to help create a happy and bonding experience. 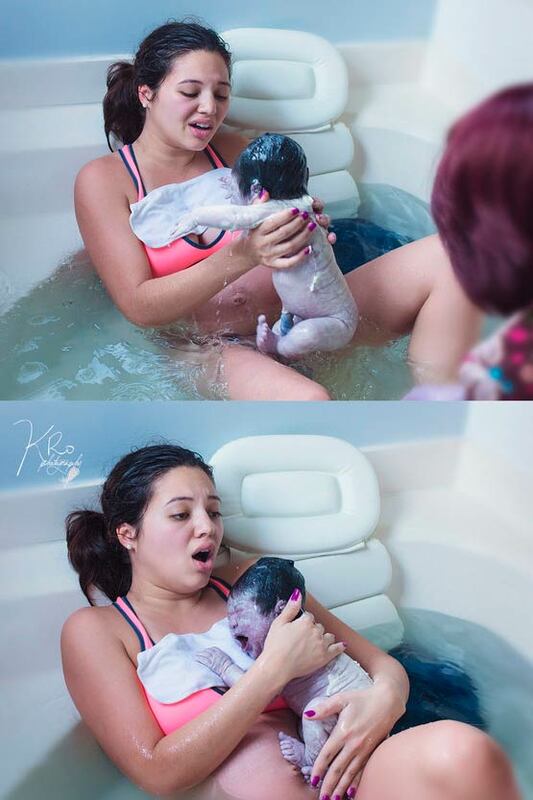 The only challenging part, for the photographer, was capturing the birth in a tasteful way. "I was actually sitting inside of her bathroom sink with a towel protecting my back from being hit by the faucet," she said of trying to get the best angle. Most women don't even know that there are other options besides a hospital birth, she added. "The mommy in the story and I strongly believe that this needs to be shown to the world just to show other women that this can be done safely!" Though home births only account for about one percent of deliveries, the method has experienced a 79 percent increase in popularity in recent years, according to a recent study. Home births—like any birth—still have potential for serious complications, so it's important to have a trained midwife or doula there to assist, as the woman in these photos did. In all, the new mom's labor took about two hours and went smoothly. The best part for Rosario? Capturing the priceless moment the mama discovered she had a baby girl: "Mommy already had two boys, so this was a shock and very special for her!"